This easy peach butter recipe calls for just three ingredients—fresh peaches, water, and sugar. Some say spices in peach butter or peach pie take away from the fresh-fruit flavor, and we have to agree. 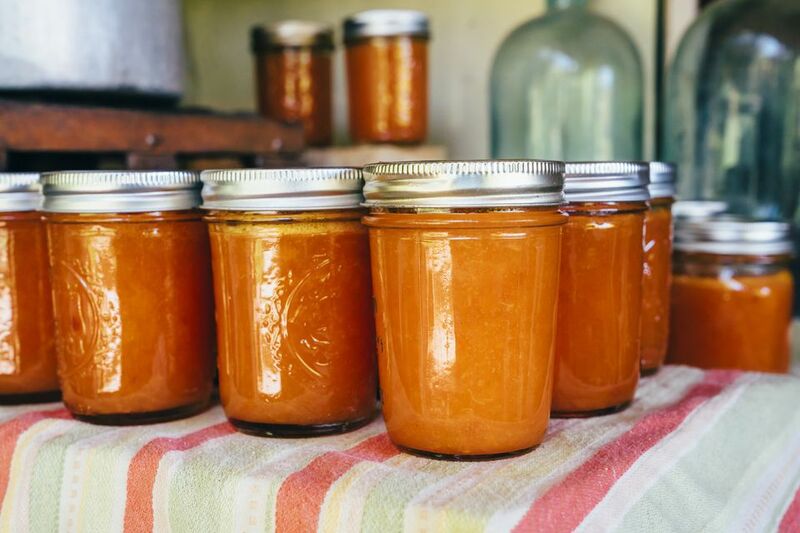 Fruit butters can be made in a slow cooker, microwave, or oven or on the stovetop, and peeling isn't necessary because the fruit is strained after the initial boiling. In a large saucepan, place peaches and water. Bring to a boil. Return to a simmer, and cook until peaches are soft, about 20 minutes. Run the peaches through a food mill or a sieve, and discard the skins. Add sugar to the pulp, and mix well. Now reduce the pulp by one of the following methods.